Ocean QuestMadness of Oceanic proportions. Explorers have tried in vain for over a century to locate the ruins of Atlantis. Join a team of brave Ocean Explorers and help them in the quest to unlock the mysteries of the deep. With every new level you explore, the wonder of Atlantis will pull you further from the surface. Use your match 3 skills to defeat the traps set by the architects of Atlantis and uncover the secrets hidden below. 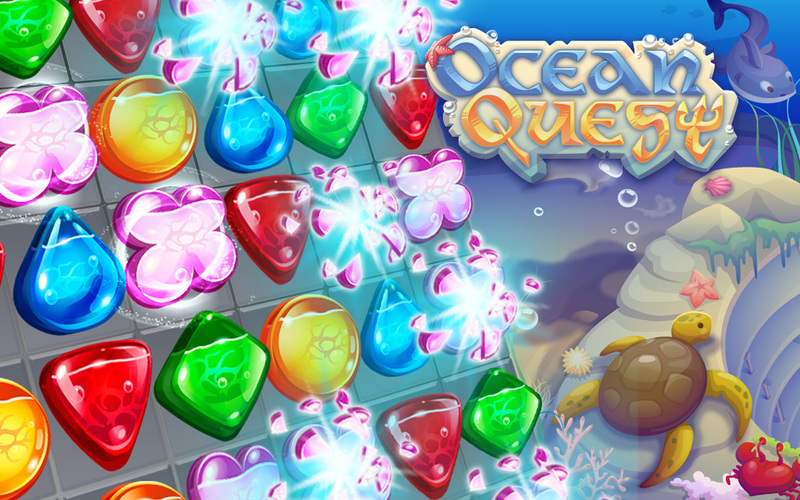 Play Ocean Quest today and start your journey into the deep blue sea!